Were you looking for Yasmin, Yaz, Ocella, Sayfral and Beyaz lawsuits? The combination of contraceptive drugs Drospirenone and ethinyl estradiol has been associated with a number of Drospirenone side effects. Bayer, the manufacturer of oral contraceptives containing the Drospirenone drug is now facing thousands of Drospirenone lawsuits. Drospirenone, in combination with ethinyl estradiol, is used as an oral contraceptive in brand names such as Yasmin, Yaz and Safyral, (all made by Bayer) and Ocella, the generic brand of Yasmin (marketed and distributed by Barr Laboratories). These birth control pills, known as "4th generation"contraceptive pills, have also been used to treat the symptoms of menopause, moderate acne and osteoporosis. See the FDA website for more information on FDA-approved oral birth control pills with drospirenone. Drospirenone acts as a female hormone that helps regulate ovulation and menstruation, while estradiol is a female hormone involved in development and maintenance of the female reproductive system. Drospirenone and Heart Attack. Drospirenone (similar to other medicines typically used as diuretics such as Spironolactone), combined with ethinyl estradiol, has shown an increase in the blood' potassium levels. This increase can lead to hyperkalemia, which can result in cardiac arrest. Hyperkalemia often has no symptoms, and is often detected after serious heart conditions have already occurred. Drospirenone and Venous Thromboembolism (VTE). 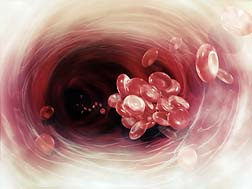 Drospirenone has also been associated with venous thromboembolism (VTE)—blood clots that form within a vein. A number of studies, most recently published in the BMJ (October 2011), suggest that women on these pills (listed above) containing one of the newer types of progestogen hormone (drospirenone, desogestrel or gestodene) have double the risk of VTE than women on pills containing an older progestogen (levonorgestrel). Drospirenone and Deep Vein Thrombosis (DVT). Drospirenone has also been linked to deep vein thrombosis (DVT), which is a blood clot that forms in a deep vein, and pulmonary embolism—blood clots in the lungs. New research published in the Canadian Medical Association Journal (November, 2011) involving about 330,000 women in Israel found that women taking birth-control pills containing the drospirenone were as much as 65 per cent more likely to develop venous thromboembolism than women taking older generations of the pill. Drospirenone and Gallbladder disease. It is also associated with gallbladder disease, particularly in young women. As early as November 2009 the FDA had reports of 993 cases of pulmonary embolism (PE), 487 cases of DVT and 229 cases of other blood clots for Drospirenone and ethinyl estradiol combined. The FDA released a safety announcement (September 2011) indicating a 1.5-fold increase in the risk of blood clots for women who use drospirenone-containing birth control pills compared to users of other hormonal contraceptives. In December 2011, an FDA advisory panel voted overwhelmingly to strengthen the warnings on drospirenone-containing birth control, to warn patients about the risk of blood clots associated with the contraceptives. The panel voted to keep the birth control on the market, although that vote was close, at 15 to 11. The agency announced that a final report of its study that evaluated the risk of blood clots in users of several different hormonal contraceptives will be presented and discussed at the joint meeting of the Reproductive Health Drugs Advisory Committee on December 8, 2011. In November 2011, Health Canada announced that its review found 1.5 to 3.0 times the risk of blood clots in women who used contraceptives that contain drospirenone. The health agency said that labels have been updated to include the warning and recommended that health care professionals consider the risks and benefits of birth control products that contain drospirenone when determining which contraceptives to prescribe. 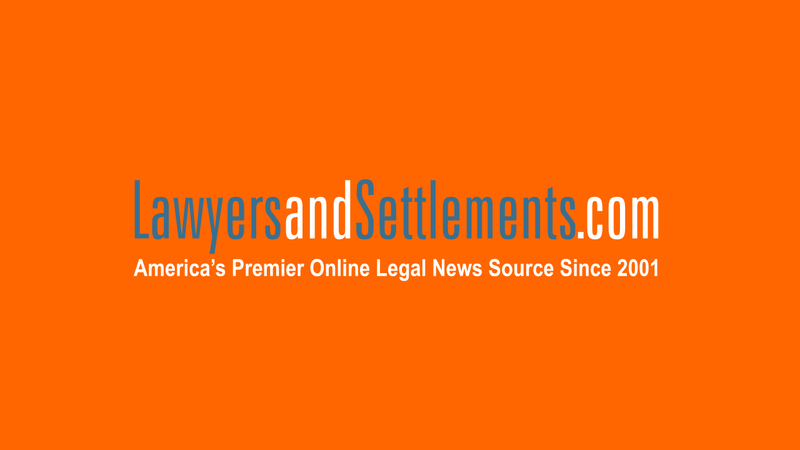 Bayer reported in mid-October 2009 that only 129 Yaz and Yasmin lawsuits had been filed in the US. As of February 2010, about 1,100 lawsuits had been filed in the US against Bayer, which said its product was no riskier than any other oral contraceptive on the market. According to the Canadian Broadcasting Corp (CBC), by January 2011 more than 4,000 women in the US have taken legal action against Bayer and more than 800 women have joined a class action lawsuit in Canada. Implanon Reviews Could Steer Women Away From ..
Young Mother Recounts Horrid Experience with .. Problems with Implantable Birth Control Remov..
Implanon Lawsuits Allege Serious Birth Contro..
Implanon Lawsuits Allege Nightmare Situations..
My 17 year old daugher just suffered a pulmonary embolism. She was prescribed this pill in 2015 for help in regulation of her cycle and for acne. Our peds doc never at anytime said anything about this risk. The package that contains this product has no warnings. We feel our medical bills should be covered as well as compensation to our daughter. Her life this past week changed forever and we feel they are negligent.